National Missing Persons Week is from 30 July-5 August 2017. 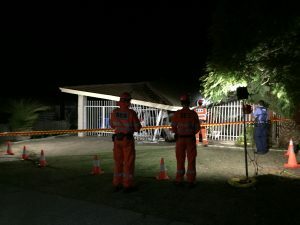 National Missing Persons Week is an annual event to raise awareness of the significant issues associated with missing persons, and help reduce the incidence and impact of missing persons in Australia. The disappearance of Tony Jones in 1982 was the catalyst for the establishment of Missing Persons Week in Australia. The inaugural week took place with a memorial service in Townsville in 1988, where the Mayor of Townsville planted a tree in commemoration of Mr Jones. 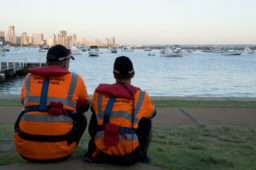 National Missing Persons Week is now held every year in Australia in the first week of August. Along with a national media campaign, now led by the NMPCC in support of State and Territory police, events and memorial services are held across the country to highlight the plight of missing persons and their families and friends. Missing persons is an issue for the whole community. Anyone regardless of age, gender or other factors may face the issue of a loved one becoming a missing person. For professionals who may encounter families and friends of missing persons in the course of their work the National Missing Persons Coordination Centre has developed an Education package Supporting those who are left behind. 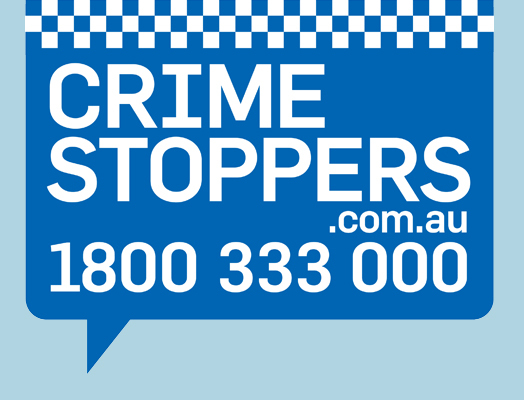 If you have any information regarding a missing person, please contact Crime Stoppers on 1800 333 000. CONGRATULATIONS to our newest members who over the weekend completed their intake training and paperwork. A fun filled day comprising of classroom work and learning the basics to as we say “be useful”. The weather contributed to make situations real and helped our newbies to really understand that its not all sunshine and lolly-pops. Their Journey has just begun and with a few more weeks of training they will be fully fledged orange people. We look forward to sharing this with you and hope to see you out on a roof soon. Our wait list is getting full and with our intake planned for 2018 we are sure it will be just as exciting as this one. Well half the year has passed already which meant it was time for our mid year exercise! This year it was based around structural damage to a house where teams had to rescue several casualties placed throughout the building, all of which had varying injuries requiring first aid. Teams were quick to respond and get to work, assessing the area and removing the wounded or unconscious casualties. We had lots of noise from the casualties which added a sense of realism to the scenario, thanks to all the casualties that helped out. 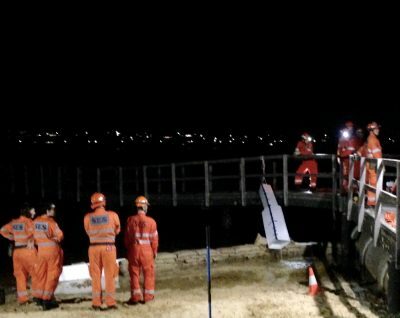 After a while we located and extricated the last casualty….. phew, all safe and sound! Even though its fake blood and lots of acting, teams treated the situation as real, which leads to better preparation for an actual event. A fun night had by all! 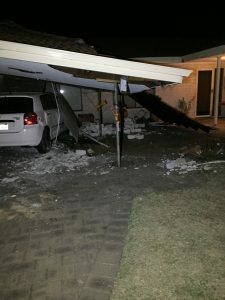 Teams responded to structural damage in Lynwood on May 29 2017. A car had lost control and hit a number of other cars and came to a stop under a carport after knocking out two of the support pillars. 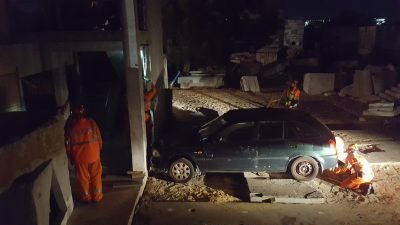 This was a doosey and kept our teams busy for a number of hours to ensure the car was extracted safely. We extracted the car after removing fences, trees and placed temporary supports to hold the structural beams in the carport. Recent training on our disc cutters and reciprocating saws proved invaluable as members worked like a well oiled machine to complete the tasks. Car out and last bit of cleanup to be conducted. 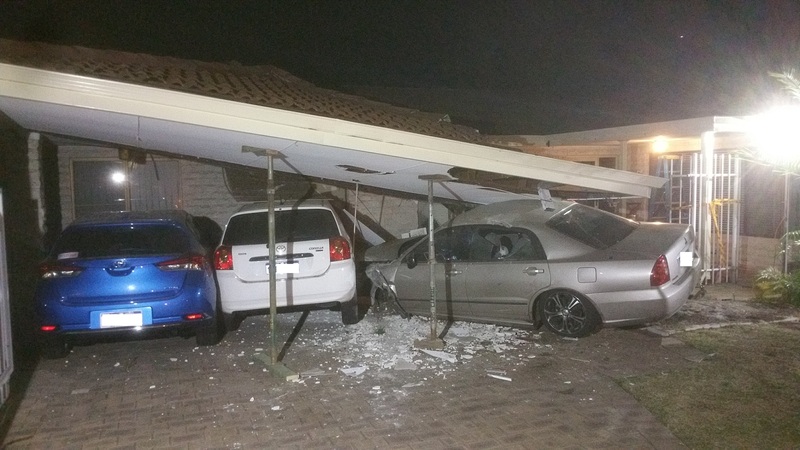 A great job by the response team and one shaken but happy homeowner at the end of the job. In line with our training program we recently conducted a Flood Boat rescue course which has resulted in the addition of four members to the Flood Response Team. The intensive training course was conducted over several days and combined classroom activities as well as on water practical assessments. 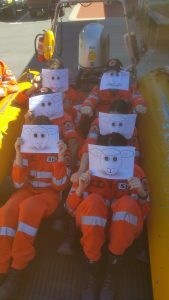 One of the lessons was transport of livestock and with several willing volunteers the lesson was a success! 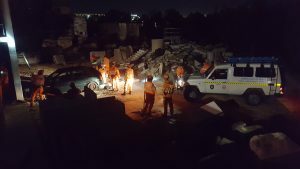 Our Flood Response team is trained to respond to any flood emergency and incorporates rescue techniques from land as well as from the water. 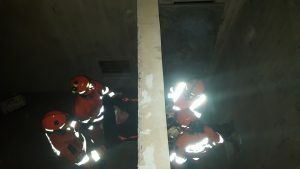 Members are educated on the best way to approach a situation and assess the most appropriate way to rescue a person or people in distress. 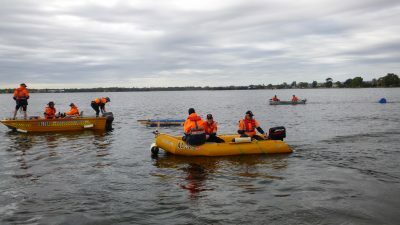 Look out for us (the yellow boats) on the Swan and Canning river conducting currency training over the next few months. Mud and puddles were in abundance at a recent training evening for the Canning South Perth SES unit. With the Canning River as the backdrop, our volunteers completed a training exercise on pumping and diversion. Our volunteers worked in teams to practice these skills, with healthy competition flowing over puddle sizes, sand bags and flow rate. Whilst buckets of fun were had by all, there is a serious side to these training exercises. 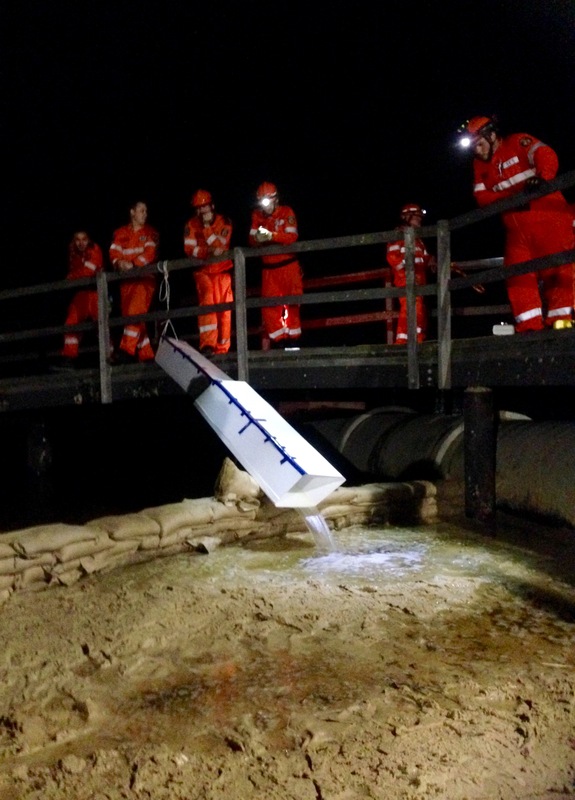 The recent adverse weather events in Queensland and New South Wales have highlighted the importance of keeping these skills up to date as they are fundamental in responding to flooding. 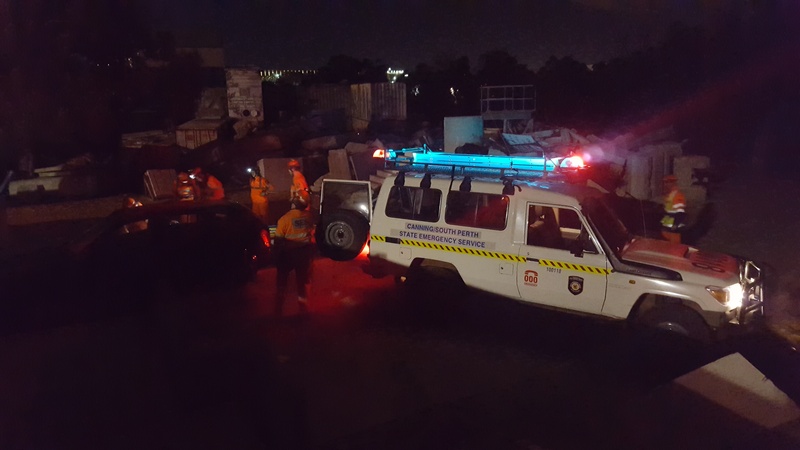 Our thoughts go out to all affected and the emergency services personnel working hard in responding to the aftermath of Cyclone Debbie. 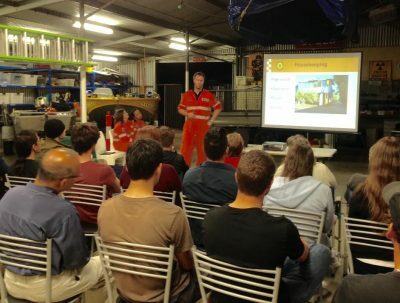 A huge thanks to everyone who attended our information evening last week. It’s always a pleasure to show potential new volunteers our unit and provide a little window into life in the fluoro orange overalls. We look forward to some new faces joining us soon! 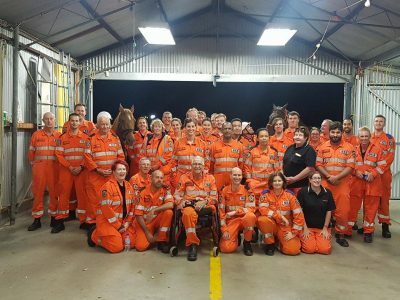 Earlier this month Canning South Perth SES unit hosted some very special visitors with the SES Mounted Section joining us for a night of collaboration, education and … horse play. 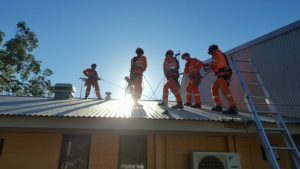 The volunteers from the SES Mounted Section outlined the important role their Section can play in search and rescue, as well as helping to educate our volunteers on ways of working collaboratively with their Section. 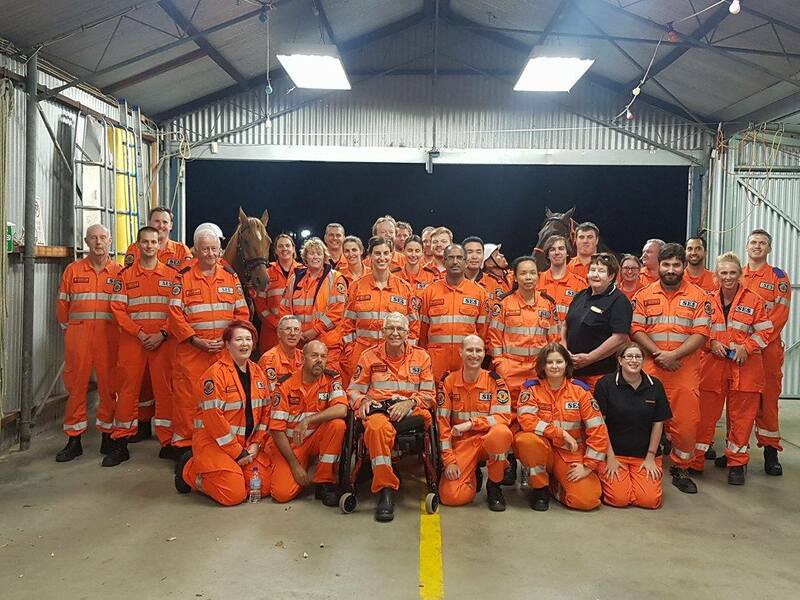 A huge thank you to the amazing volunteers from the SES Mounted Section for their visit – with a special mention to our four legged friends Charlie and Marvin for their model behaviour. 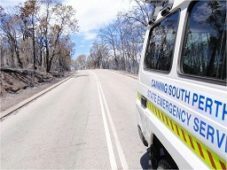 If you are interested in learning more about volunteering with the Canning South Perth SES unit, register here to join us for our new recruits information evening on 23 March 2017. 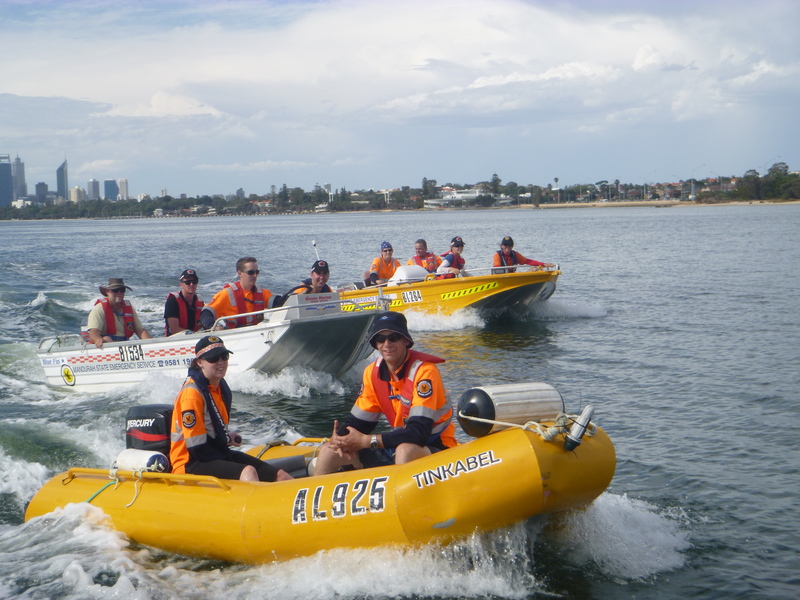 It been a busy few weeks for the Canning South Perth SES volunteers. 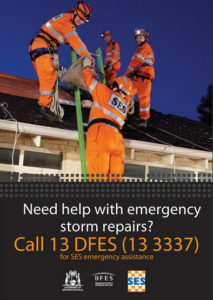 The wild weather meant our volunteers have responded to 14 callouts to assist with storm damage. If you are curious about how our volunteers assist with emergency storm repairs or would like to know more about the role of a SES volunteer, register here to attend our upcoming information night on 23 March 2017. 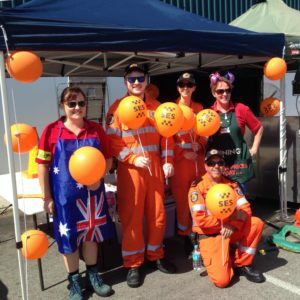 Thanks to everyone who came down to Bunnings Cannington or Willetton yesterday to throw their support behind Canning South Perth SES unit’s Great Aussie BBQ. It was a fantastic day for the local community to meet our volunteers and hear firsthand about the support our volunteers provide during emergencies. Thanks to your generous donations (and love of snags!) we were also able to raise funds for our unit. A special thanks to the Bunnings team members who kept the crowds fed and to our unit volunteers for braving the heat in their uniforms. We hope you had as much fun as we did!